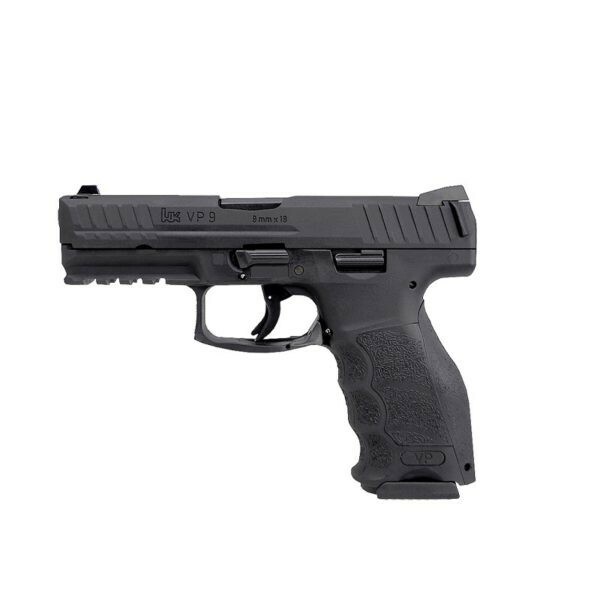 The HECKLER AND KOCH VP9 is a 9x19mm caliber semi-automatic recoil loader from Umarex; based on a modified H&K P-30 recoiling barrel. The HECKLER AND KOCH VP9 is a 9x19mm caliber semi-automatic recoil loader from Umarex; based on a modified H&K P-30 recoiling barrel. This 4.5 mm (.177) BB with original markings on the slide and on the handle is made from impact-resistant polymer with a sturdy metal carriage. True to the original, the structured grip does a great job when the blowback recoils with each shot. 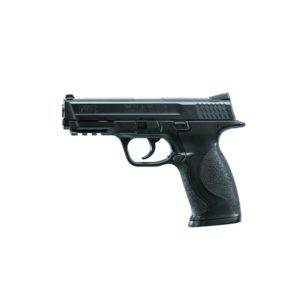 The H&K VP9 CO2 Airgun includes three exchangeable back and side parts in the sizes S, M and L allow an exact matching handle size. 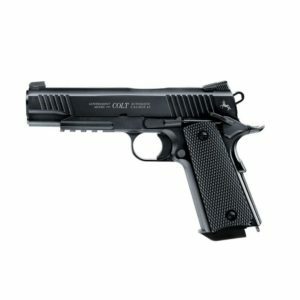 It comes with heavy metal slides and an all-in-one magazine for 18 BBs and a 12g CO2 capsule.